Organised by Otley Athletic Club, the race is now in its 29th year and more than 400 runners were ready to tackle the hilly route that starts on Mill Way, off Gallows Hill, before heading to Pool-in-Wharfedale, Leathley, Lindley and Farnley and finishing at Otley Cricket Club. Having run this race last year I can vouch for what a fantastic challenging route it is, deffinatly a must do race. 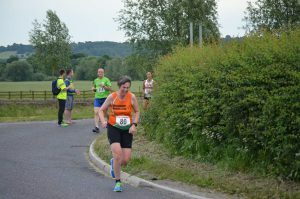 We’ll done to Joanne Lockwood for competing in the orange and green, finishing well in 205th place, 7th in her age category in a time of 1:21:26.